Available as an arm chair and side chair. Hamilton has been a popular choice with our clients for the past decade due to its timeless design, durable hardwood frame, and easy-to-clean open back. H-stretcher adds stability. 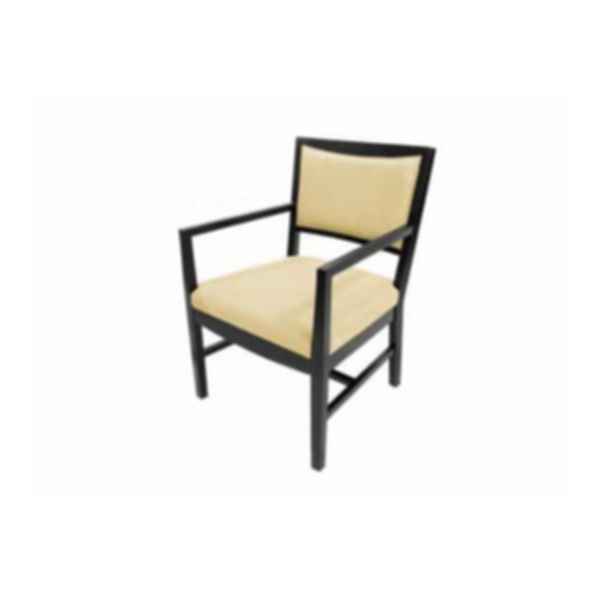 The Hamilton Dining Chair has an arm height of 25", a seat height of 18", and a seat depth of 20". We specialize in hospitality, senior living, retail / shopping malls, offices, multi-family spaces, lobbies and other environments where furniture must be functional, stylish, and durable.